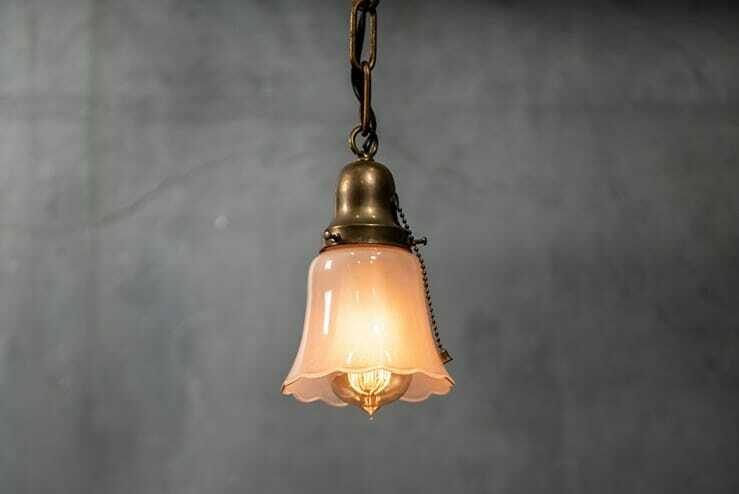 This single-socket pendant with a frosted, scalloped shade epitomizes sweet simplicity. A ball pull chain switches it on and off. Hangs from a 13″ chain.